Scandinavian software company, Opera, has really been on a VPN roll lately. Just a couple weeks ago they released a free and unlimited built-in VPN in their Opera browser for Windows and Mac. And just today, Opera released a new free and unlimited bandwidth VPN app for iOS — without ads “for now”. Unfortunately this comes at a time when the company is about to be acquired by Chinese tech giants for $1.2 billion. VPNs, used for circumventing internet censorship in China, are generally blocked or throttled by the so called “Great Firewall” filter. Opera: A Chinese VPN Company? Free VPNs are the future? For those of us living and working in China, a VPN is a crucial lifeline for productivity and communication with the outside world beyond the Great Firewall. 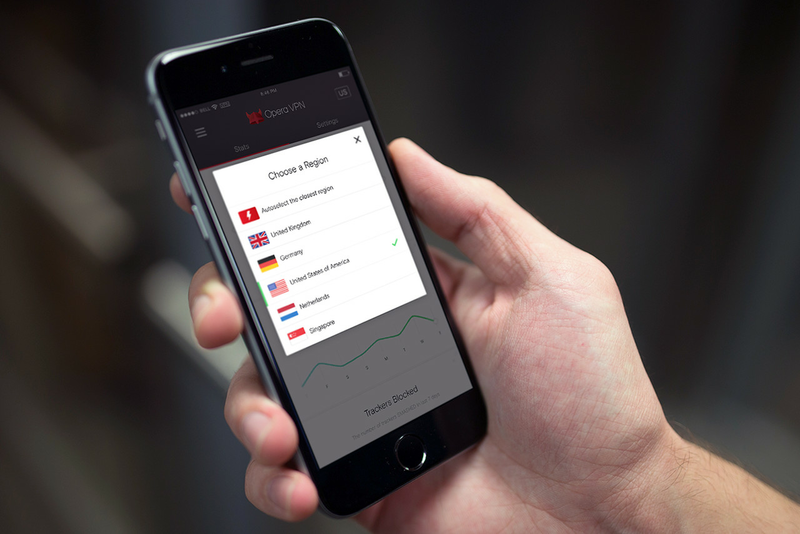 Opera’s new free and unlimited VPN changes the landscape for internet censorship in China. But for how long? Opera is currently finalizing a buyout deal by a consortium of Chinese tech companies that includes Kunlun Tech and search engine Qihoo 360. VPNs are not illegal in China but they do require regulatory approval. Assuming the Opera deal goes through, it is unlikely regulators will approve these censorship circumvention tools. Whether this will result in complete blockage of the service or just censoring of download gateways remains to be seen. As of this writing, the Opera VPN app hasn’t been removed from the Chinese Apple App store yet. Setting up Opera VPN is a breeze. There’s no sign up or anything. Just follow the on-screen instructions. You will be asked to authorize the installation of a “VPN profile”, but that’s pretty normal for most VPN apps. The profile just contains the passwords and server info so you can connect with the VPN servers. The US server will most likely be the most popular due to its wealth of geo-specific content such as Hulu and Netflix. iBBC lovers will be saddened to know that there isn’t a UK server as of yet. UPDATE September 2016: Opera’ s free VPN has been launched with the normal version of Opera 40. But unfortunately both Opera 40 and Opera Developer’s built in VPN are now blocked in China. Users in China looking to get around internet censorship will have to purchase one of the more reliable paid VPN services. Check out our China VPN review guide for more information. Opera’s VPN app is useable in China, but barely. If all you want to do is look at blocked Wikipedia articles, it might be sufficient. But any media consumption is going to be difficult with the current slow download speeds. The Singapore server seems to have the fastest speeds for China-basesd users. Here are our speed tests using OOKLAs Speed Test app for iOS on China Unicom’s 4G network. For reference our 4G speeds without a VPN are approximately 16 mbps. Using Opera’s VPN app we managed to get an average download speed of approximately 1.3 mbps in Singapore and the US, the best server locations in our tests. Our performance tests with premium VPN services in China, such as ExpressVPN or VyprVPN, usually logged download speeds of approximately 3 mbps. That being said, the cost of a paid service is generally $5 – 10 a month. Bandwidth is becoming cheaper and cheaper so it makes sense that more free and unlimited VPNs will become common. This is obviously great for privacy minded users and those seeking to get around geo-restriction or censorship. However for users in China, Opera’s free VPN app might be dead on arrival once the Norwegian company is under control of Chinese investors. I live in China and the VPN feature of opera browser 40 is not working. Is it blocked in China?